As a key supplier of slot content to the most prominent manufacturers and operators in the casino gaming industry, Genesis Gaming, Inc. has built its reputation on experience and performance. We are totally focused on providing casino gaming content that maximizes revenue for our customers, in both online casinos and land-based casinos. Our team encompasses some of the most experienced game designers worldwide, specializing in video slot games. We offer a ready-to-deploy catalog of online video slot games, and we can offer our expertise to create exclusive, bespoke video slot games to provide our customers with a unique competitive advantage. We can provide our games for all digital platforms whether they are land-based, online or mobile, and for real-money play or social gaming play. All Genesis games are created to maximize game play and revenue performance with extraordinary art, innovative bonus features and outstanding music. Genesis Gaming, Inc. has a global presence as a market leader in the industry with games deployed with many of the most prominent brands in the casino gaming industry. Our main studio is in Las Vegas, Nevada which is still the hub of the most innovative and competitive gaming product developers. 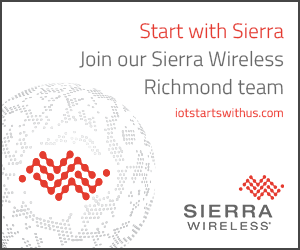 We have a business office in London to support our European customers and a development studio in Vancouver to support advanced technology needs such as wireless. Our corporate culture is to maintain an environment that encourages imagination and innovation. Our developers have the freedom to express their own creativity and this nurturing environment empowers our vision for developing unique leading-edge, top performing game content. Unit #150 1090 Homer St.